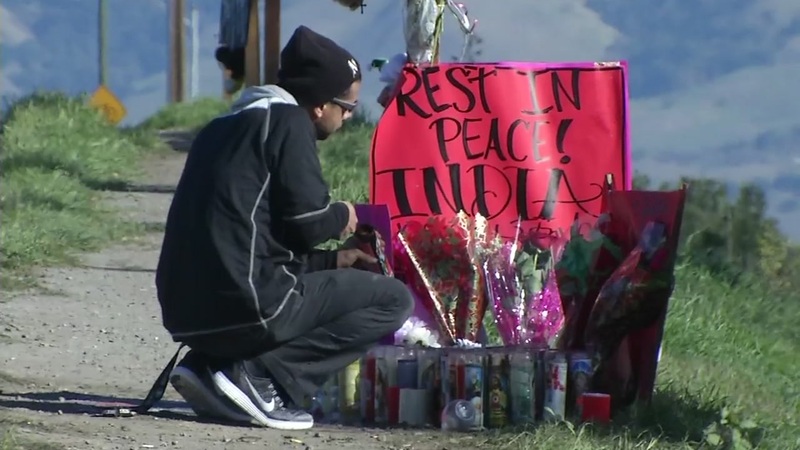 A roadside memorial is seen in this undated photo after a suspected drunk driving crash in San Jose. SAN JOSE, Calif. (KGO) -- The teenage boy killed in a suspected DUI crash on Christmas morning in San Jose has been identified by the medical examiner. The Santa Clara County medical examiner identified 14-year-old Andrew Nguyen of San Jose as the victim. Nguyen was riding in a car hit by 25-year-old Jessica Zamora, who also died in the crash. Zamora had an outstanding warrant for DUI at the time of the crash. According to police, the crash happened at about 12:30 a.m. Sunday when Zamora was driving her 2012 Chevrolet Malibu west on Capitol Expressway near Snell Avenue and crossed over into the wrong lanes, colliding head-on with a 2004 Lexus carrying Nguyen and his parents. A bartender said Zamora had two drinks just before the crash. Her family had been under attack on social media as they mourned her death.